Begin your Nomination collection with this gorgeous ready-made composable charm bracelet - or treat someone special to a lovely gift! With an 18ct Rose Gold Plated Stainless Steel base. 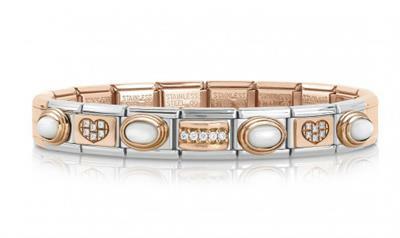 This bracelet features Stainless Steel links with 18ct Rose Gold Plated, Pearls and Cubic Zirconia.